Dharma Lea will lead in the state of New York and the surrounding Northeast states of the United States implementing Savory Institute Holistic Management programs to local communities, government, and farmers. BOULDER, Colo. - Feb. 26, 2016 - PRLog -- The Savory Institute, an International, US-based, non-profit, announced that it has entered into an agreement with Dharma Lea to serve as a local hub for ecological, social and financial regeneration in New York and the surrounding Northeast states through education, training and consulting services. “The Savory Institute is excited to welcome such an incredible partner to the Savory Network,” said Daniela Howell, CEO of the Savory Institute. “Dharma Lea is a premier example of holistic management in practice and has already begun providing incredible resources to the producers, as well as value to consumers, of the Northeastern United States." “We have been using the principles of Holistic Management for many years,” Phyllis Van Amburgh, Founder of Dharma Lea, says, “For the past several years we have been extremely excited to refine and deepen our skill by joining the Savory Institute to bring Holistic Management practice and understanding to our entire network of fellow dairy farmers, the young farmer network, and the producers, consumers, and support services of our region." The Savory Institute is partnering with local organizations worldwide to create a global network of 100 Savory Institute affiliated hubs by 2025. The Savory Institute facilitates large-scale restoration of the world’s grasslands through Holistic Management. The Institute develops innovative tools and enhanced curricula, informs policy, establishes market incentives, increases public awareness, and coordinates relevant research, cultivating relationships with aligned partners. Additional news and information about the organization is available at http://savory.global. The Hub in the Northeast United States is run by experienced farmers who have a deep and practical understanding of Holistic Management. They are committed to expanding its practical application throughout the region. 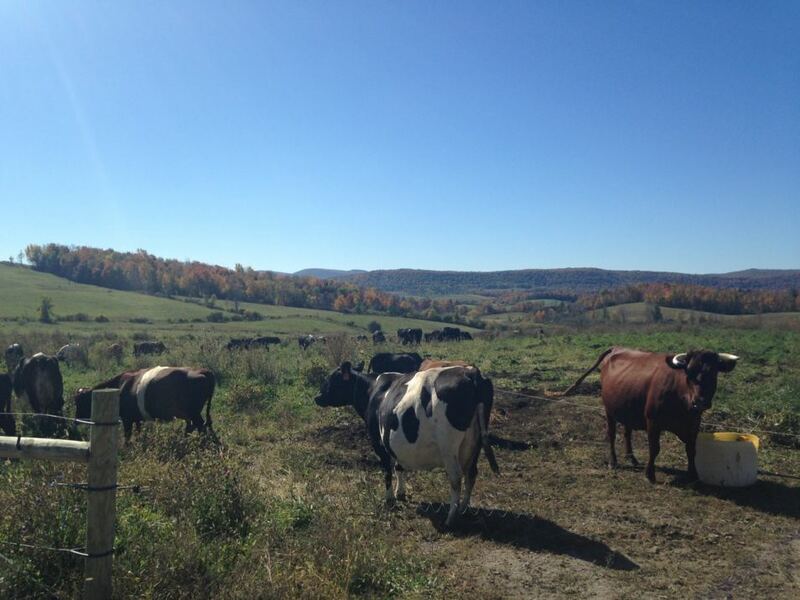 Dharma Lea, a 100% grass-fed dairy farm in central New York, has been instrumental in developing the 100% grass-fed production model and the milk supply for Maple Hill Creamery. Dharma Lea continues to support producers and bring resources to the farmers and growers of the region, always underpinned with Holistic Management. Little Seed gardens is a market garden vegetable farm that has mentored beginning farmers and worked with the young farmer’s network for decades. Claudia Kenny and Willy Denner run an extremely successful direct market vegetable production farm, incorporating cattle and thriving with expert implementation of Holistic Financial Planning. Learn more at http://dharmalea.com/.